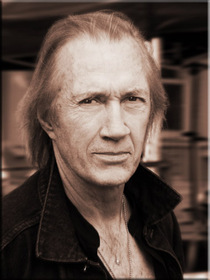 David Carradine, star of the 1970s television series Kung Fu as well as a number of horror films, has been found dead in Bangkok, Thailand of undisclosed causes, according to the Associated Press. He was 72 years old. David, the son of legendary character actor John Carradine, worked in a diverse range of projects throughout his forty-six years as an actor, including crime movies, horror films, sci-fi, and martial arts flicks. He had worked with directors such as Ingmar Bergman, Martin Scorcese, Larry Cohen, Paul Bartel, Walter Hill, John Badham, and Quentin Tarantino. He was also a follower of Eastern philosophy, going so far as to write a book, The Spirit of the Shaolin, in the early 1990s. Personally, I will always remember him for his role as the open-minded detective in Larry Cohen's brilliant giant bird-monster movie, Q: The Winged Serpent as well as his turn as Bill in Quentin Tarantino's Kill Bill: Volume 2.